Seth Russell did just about anything he wanted to against West Virginia. West Virginia defensive coordinator Tony Gibson was pulling no punches in his assessment of his team's performance against Baylor on Saturday. The Bears racked up 62 points, and the Mountaineers offered little to no resistance all afternoon. 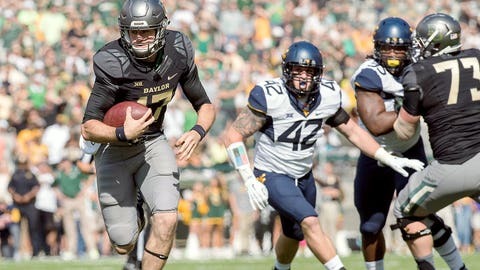 In West Virginia's defense, Baylor has scored at least 56 points in all six of its games. Gibson may have been speaking the truth, but the rules of defense aren't going to be changed in the Mountaineers' favor any time soon.